"A fantastic game that really makes you feel like you're inside a pulp novel. The best version of the FATE system to date." "A book that takes solid rules to a wider audience, capturing the Zeitgeist along the way." "Spirit of the Century is fast, fun, and innovative in its approach. It embraces the Pulp spirit and never lets go. 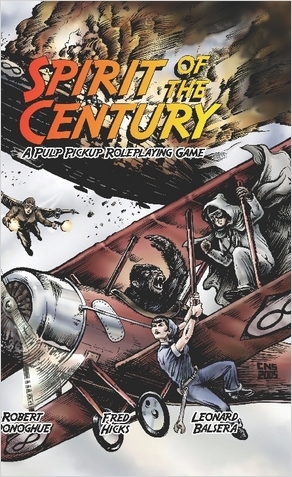 If you are interested in playing a solid pulp game, this is the game for you. It is also a great game for beginners."